I'm shopping for a sofa for the living room and I'm still in the brainstorming stage. I have a danish modern chair and we have a giant TV and a simple white ikea TV stand at the moment. Otherwise, everything else is up for discussion so I'm really able to start from scratch. We've got two little girls and a lot of video game action happens on the sofa so it needs to be durable/comfortable and stain resistant. But it's also the first thing you see when you come in so I want it to look amazing! 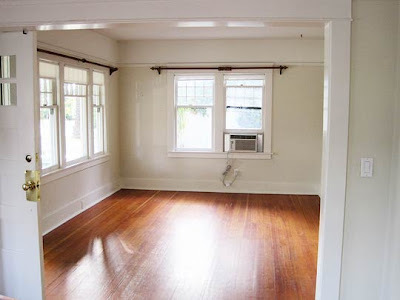 Here's our living room for reference. It's not huge, but there's room for something awesome. 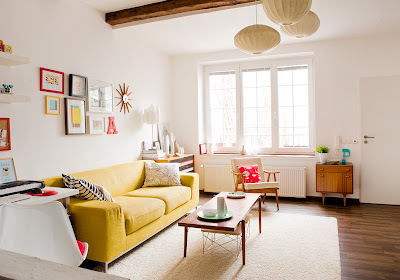 A bright color and neutral furniture from apartment therapy. My original inspiration via Domino. I love that it's modern but warm. 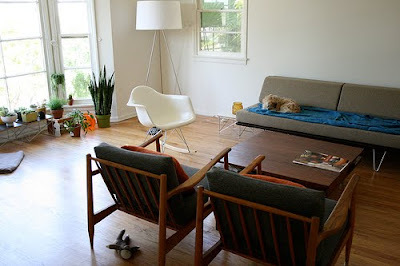 Total Mid Century Inspiration with lots of color from apartment therapy. Sophia Coppola's place is glamorous, modern and well... comfy. 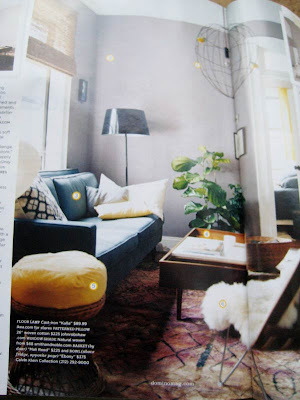 Lydia Pearson's Home in Vogue Living is chic and simple. Via Happy Mundane. I'm a sucker for anything Swedish like this living room from desire to inspire. 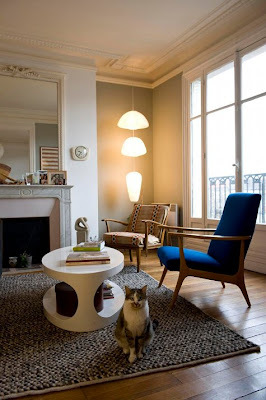 Beautiful Parisian Mid Century apartment on Design Sponge. A bold burst of color in a sleek room. It's fun, it's liveable, but it's still risky. From flickr. 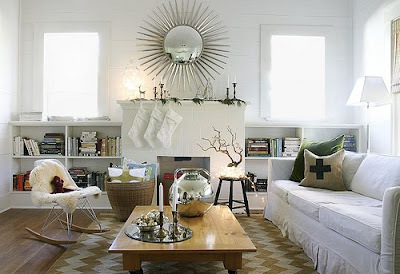 AB Chao's living room is crisp and white and modern but with cozy traditional elements. 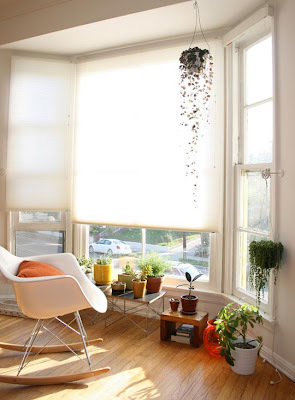 Love love love Jeana Sohn and her cute living room with little plants and plenty of empty space. 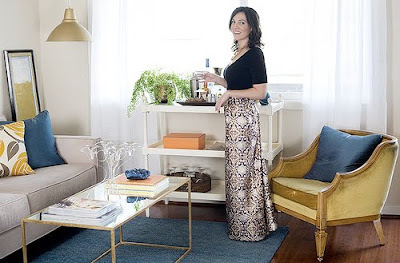 I like some glam elements like the coffee table in Cassie's Living Room. And I want to make sure it stays light and bright like this image from Domino. Personally, I love the sofa in the "desire to inspire" photo. Good luck with your sofa hunt. I know I am going to hate it when I have to do so soon. 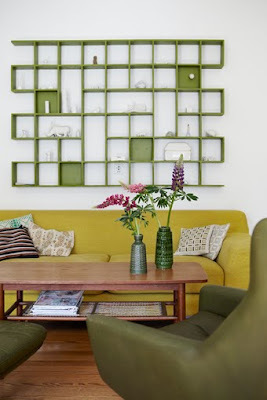 I like the inspiration of light neutral walls and a pop colored sofa. I would go with a cotton clipcovered sofa. That way when the kids and video game action get the sofa dirty you can simply wash the slip cover, or even replace it when needed. You could also change the color of it as your mood or tastes change. Then use whatever color you pick for the sofa as a starting point for a comfy patterned rug, side chairs, and accessories. I like the Clark Sofa from Room & Board. They have the sectional version in the Culver City store and it's really lovely in person. The Andre from R&B is also tufted and Mid C.
The Anson is really fun too and sort of Jetsons like. 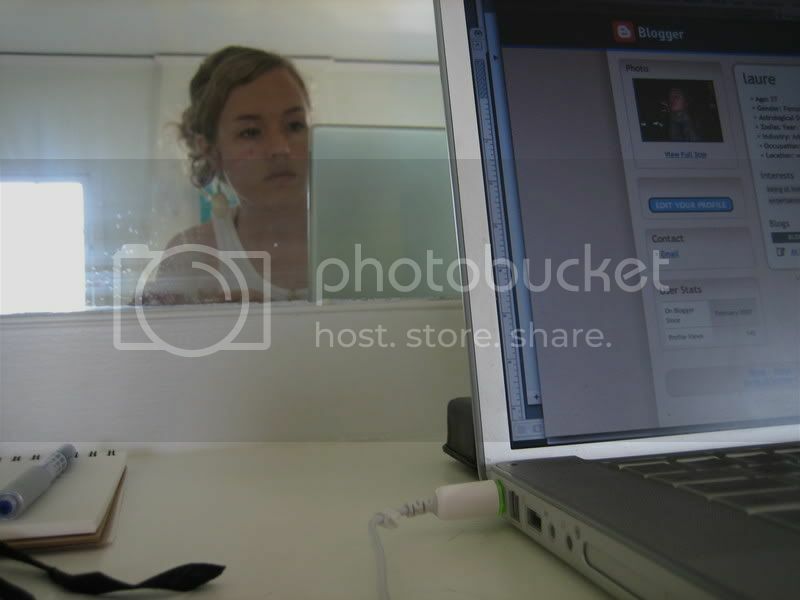 I have many of those same images saved in my inspiration files. I have the Pottery Barn sofa with the squared arms. The big one with the classic lines. Veeeeeery comfortable and slipcovered which is awesome. as soon as i read your post i thought of sophia coppola's rolled arm sofa! it's the sofa i'm coveting right now :) i actually found a few look a likes at jayson home & garden and lee industries. good luck! will be interested to see what you decide. I adore Room & Board's Hutton sofa. The studio sized version (75" long) in Indigo velvet is on my living room wishlist. It has a MCM shape to it and has tufting (but only on the seat), plus it sits upon darling tapered legs. *sigh* I just get all dreamy even thinking about it. good luck on your couch search! I too covet the Sophia Coppola sofa, but a version with higher arms. 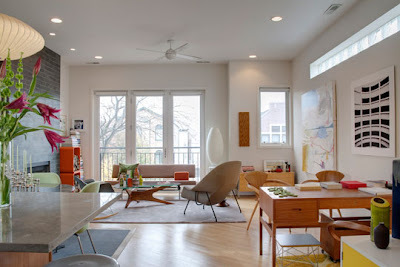 I like the total mid century it's comfortable looks durable and it seems to show more open space and that's what you need with children especially if this is your only gathering room no den or another family room but of course all of them are pretty amazing. 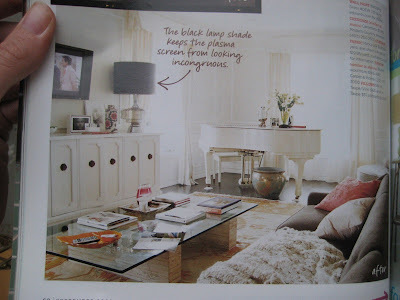 I've been loving big comfy linen sofas after seeing them pop up in Livingetc over and over. That's my dream sofa at Jayson... I just need to get a bigger living room. Simple lines, low arms so it's comfy to lay down. The sofa in the photo desire to inspire. Really it is so lovely that i can't resist myself by seeing this post again and again.What I loved it light neutral walls and a pop colored sofa. 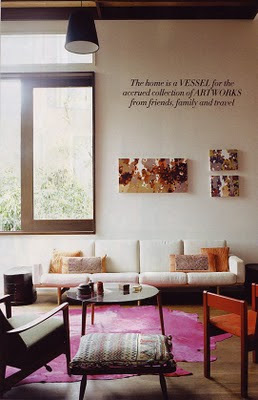 LOVE Sophia Coppola's place & that powdery blue sofa. The Sofia Coppola sofa looks beyond comfortable and family friendly. Truly inspirational living spaces!everything looks gorgeous with their own furniture and color mixtures.They are all soothing and chic.